Jake Arrieta, fresh off his second career no-hitter, may be part of what is now the worst trade in Baltimore Orioles history. It seemed pretty innocent at the time. The Baltimore Orioles had given up on a once-promising but often-mercurial pitcher in Jake Arrieta. 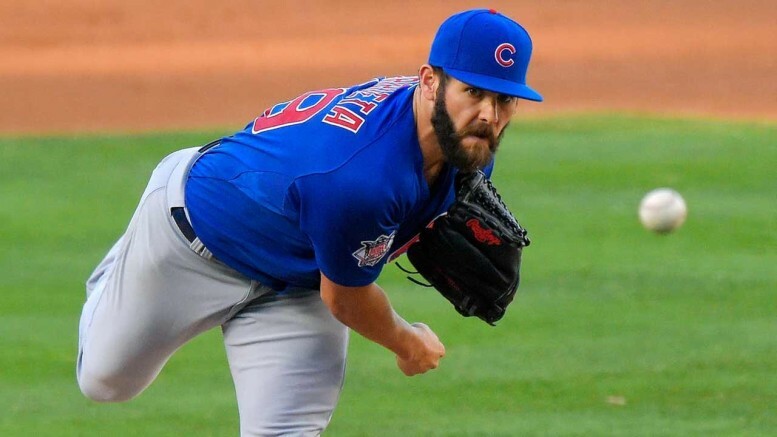 They wanted reinforcements for a playoff run, so they shipped Arrieta and reliever Pedro Strop to the Chicago Cubs for starter Scott Feldman and catcher and Baltimore native Steve Clevenger. Coming off a magical 2012 season, the Orioles wanted to get back to October and needed a boost from their rotation. Feldman arrived with World Series experience with Texas, but that boost never came. The righty finished with a 4.27 ERA in 15 starts, and Clevenger would go on to play in just 69 games over three seasons with Baltimore. He hit a grand total of two home runs. Meanwhile, the team’s patience with Arrieta had worn thin. He showed flashes of greatness, but nothing more. If anything, he seemed to be regressing and management believed he would never peak. Or, he already had. Either way, it was time to move on. So no harm, no foul. The Cubs were mired in another miserable season, and Feldman and Clevenger would bring hope for the present and future, respectively. But Arrieta found immediate success, going 4-2 with a 3.66 ERA the rest of 2013 before bumping those numbers up to 10-5 with a 2.53 ERA in 2014. Still, no one saw this coming. This of course being that the deal may have just topped the one Orioles fans have been groaning about for two and a half decades now. In 1990, the O’s were in search of a power bat and had their hearts set on the Houston Astros’ Glenn Davis. To bring Davis over, the O’s shipped out three youngsters: pitchers Curt Schilling and Pete Harnisch and outfielder Steve Finley. Davis’ “career” year with the Orioles was when he hit 13 homers in 1992, and his career was ultimately cut short after a broken jaw suffered in a bar fight and a foul ball to the noggin by a teammate. What’s worse is, from here on out, Baltimore can only stand to look worse and worse with this deal. With Feldman and Clevenger out of the picture, Arrieta will continue his ascent to stardom, and Strop isn’t too shabby either. This one is going to sting for a long time in Charm City. It may sting even more than the Davis deal. Be the first to comment on "Baltimore Orioles’ Trade of Jake Arrieta May Top the Infamous Glenn Davis Debacle"